Our work is focused on molecular mechanisms underlying pathology in humans, specifically cancer and membrane pore formation and cell adhesion. We are studying mechanisms of 3' uridylation of RNAs with clear effects in tumourigenesis and are engaged in related translational research in collaboration with a commercial partner. We are also working on mechanisms of pore formation relevant to inflammation and cytotoxic T cell activity, and to infection processes in diseases such as malaria and toxoplasmosis. Our work on membrane biology in disease includes a focus on the kindlin proteins which are involved both in cell adhesion activation and also function nuclearly in suppression of tumour-suppressor miRNAs. Data sharing statement: we deposit our results in relevant online databases where available (e.g. http://www.ebi.ac.uk/pdbe) for release on publication. Other outputs will be distributed on request. 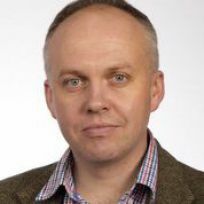 Currently our work is being funded by the Medical Research Council, the Biotechnology and Biological Sciences Research Council, the Wellcome Trust, the Calleva Centre for Evolution and Human Sciences and STORM Therapeutics Ltd.
Toxoplasma and Plasmodium are the parasitic agents of toxoplasmosis and malaria, respectively, and use perforin-like proteins (PLPs) to invade host organisms and complete their life cycles. The Toxoplasma gondii PLP1 (TgPLP1) is required for efficient exit from parasitophorous vacuoles in which proliferation occurs. We report structures of the membrane attack complex/perforin (MACPF) and Apicomplexan PLP C-terminal β-pleated sheet (APCβ) domains of TgPLP1. The MACPF domain forms hexameric assemblies, with ring and helix geometries, and the APCβ domain has a novel β-prism fold joined to the MACPF domain by a short linker. Molecular dynamics simulations suggest that the helical MACPF oligomer preserves a biologically important interface, whereas the APCβ domain binds preferentially through a hydrophobic loop to membrane phosphatidylethanolamine, enhanced by the additional presence of inositol phosphate lipids. This mode of membrane binding is supported by site-directed mutagenesis data from a liposome-based assay. Together, these structural and biophysical findings provide insights into the molecular mechanism of membrane targeting by TgPLP1. Hantaviruses are zoonotic pathogens that cause severe hemorrhagic fever and pulmonary syndrome. The outer membrane of the hantavirus envelope displays a lattice of two glycoproteins, Gn and Gc, which orchestrate host cell recognition and entry. Here, we describe the crystal structure of the Gn glycoprotein ectodomain from the Asiatic Hantaan virus (HTNV), the most prevalent pathogenic hantavirus. Structural overlay analysis reveals that the HTNV Gn fold is highly similar to the Gn of Puumala virus (PUUV), a genetically and geographically distinct and less pathogenic hantavirus found predominantly in northeastern Europe, confirming that the hantaviral Gn fold is architecturally conserved across hantavirus clades. Interestingly, HTNV Gn crystallized at acidic pH, in a compact tetrameric configuration distinct from the organization at neutral pH. Analysis of the Gn, both in solution and in the context of the virion, confirms the pH-sensitive oligomeric nature of the glycoprotein, indicating that the hantaviral Gn undergoes structural transitions during host cell entry. These data allow us to present a structural model for how acidification during endocytic uptake of the virus triggers the dissociation of the metastable Gn-Gc lattice to enable insertion of the Gc-resident hydrophobic fusion loops into the host cell membrane. Together, these data reveal the dynamic plasticity of the structurally conserved hantaviral surface.IMPORTANCE Although outbreaks of Korean hemorrhagic fever were first recognized during the Korean War (1950 to 1953), it was not until 1978 that they were found to be caused by Hantaan virus (HTNV), the most prevalent pathogenic hantavirus. Here, we describe the crystal structure of HTNV envelope glycoprotein Gn, an integral component of the Gn-Gc glycoprotein spike complex responsible for host cell entry. HTNV Gn is structurally conserved with the Gn of a genetically and geographically distal hantavirus, Puumala virus, indicating that the observed α/β fold is well preserved across the Hantaviridae family. The combination of our crystal structure with solution state analysis of recombinant protein and electron cryo-microscopy of acidified hantavirus allows us to propose a model for endosome-induced reorganization of the hantaviral glycoprotein lattice. This provides a molecular-level rationale for the exposure of the hydrophobic fusion loops on the Gc, a process required for fusion of viral and cellular membranes. Pore-forming proteins play critical roles in pathogenic attack and immunological defence. The membrane attack complex/perforin (MACPF) group of homologues represents, with cholesterol-dependent cytolysins, the largest family of such proteins. In this review, we begin by describing briefly the structure of MACPF proteins, outlining their common mechanism of pore formation. We subsequently discuss some examples of MACPF proteins likely implicated in pore formation or other membrane-remodelling processes. Finally, we focus on astrotactin and bone morphogenetic protein and retinoic acid-induced neural-specific proteins, highly conserved MACPF family members involved in developmental processes, which have not been well studied to date or observed to form a pore-and which data suggest may act by alternative mechanisms.This article is part of the themed issue 'Membrane pores: from structure and assembly, to medicine and technology'. Kindlins co-activate integrins alongside talin. They possess, like talin, a FERM domain (4.1-erythrin-radixin-moiesin domain) comprising F0-F3 subdomains, but with a pleckstrin homology (PH) domain inserted in the F2 subdomain that enables membrane association. We present the crystal structure of murine kindlin-3 PH domain determined at a resolution of 2.23 Å and characterise its lipid binding using biophysical and computational approaches. Molecular dynamics simulations suggest flexibility in the PH domain loops connecting β-strands forming the putative phosphatidylinositol phosphate (PtdInsP)-binding site. Simulations with PtdInsP-containing bilayers reveal that the PH domain associates with PtdInsP molecules mainly via the positively charged surface presented by the β1-β2 loop and that it binds with somewhat higher affinity to PtdIns(3,4,5)P3 compared with PtdIns(4,5)P2 Surface plasmon resonance (SPR) with lipid headgroups immobilised and the PH domain as an analyte indicate affinities of 300 µM for PtdIns(3,4,5)P3 and 1 mM for PtdIns(4,5)P2 In contrast, SPR studies with an immobilised PH domain and lipid nanodiscs as the analyte show affinities of 0.40 µM for PtdIns(3,4,5)P3 and no affinity for PtdIns(4,5)P2 when the inositol phosphate constitutes 5% of the total lipids (∼5 molecules per nanodisc). Reducing the PtdIns(3,4,5)P3 composition to 1% abolishes nanodisc binding to the PH domain, as does site-directed mutagenesis of two lysines within the β1-β2 loop. Binding of PtdIns(3,4,5)P3 by a canonical PH domain, Grp1, is not similarly influenced by SPR experimental design. These data suggest a role for PtdIns(3,4,5)P3 clustering in the binding of some PH domains and not others, highlighting the importance of lipid mobility and clustering for the biophysical assessment of protein-membrane interactions. The invertebrate cytolysin lysenin is a member of the aerolysin family of pore-forming toxins that includes many representatives from pathogenic bacteria. Here we report the crystal structure of the lysenin pore and provide insights into its assembly mechanism. The lysenin pore is assembled from nine monomers via dramatic reorganization of almost half of the monomeric subunit structure leading to a β-barrel pore ∼10 nm long and 1.6-2.5 nm wide. The lysenin pore is devoid of additional luminal compartments as commonly found in other toxin pores. Mutagenic analysis and atomic force microscopy imaging, together with these structural insights, suggest a mechanism for pore assembly for lysenin. These insights are relevant to the understanding of pore formation by other aerolysin-like pore-forming toxins, which often represent crucial virulence factors in bacteria. The vertebrate-specific proteins astrotactin-1 and 2 (ASTN-1 and ASTN-2) are integral membrane perforin-like proteins known to play critical roles in neurodevelopment, while ASTN-2 has been linked to the planar cell polarity pathway in hair cells. Genetic variations associated with them are linked to a variety of neurodevelopmental disorders and other neurological pathologies, including an advanced onset of Alzheimer's disease. Here we present the structure of the majority endosomal region of ASTN-2, showing it to consist of a unique combination of polypeptide folds: a perforin-like domain, a minimal epidermal growth factor-like module, a unique form of fibronectin type III domain and an annexin-like domain. The perforin-like domain differs from that of other members of the membrane attack complex-perforin (MACPF) protein family in ways that suggest ASTN-2 does not form pores. Structural and biophysical data show that ASTN-2 (but not ASTN-1) binds inositol triphosphates, suggesting a mechanism for membrane recognition or secondary messenger regulation of its activity. The annexin-like domain is closest in fold to repeat three of human annexin V and similarly binds calcium, and yet shares no sequence homology with it. Overall, our structure provides the first atomic-resolution description of a MACPF protein involved in development, while highlighting distinctive features of ASTN-2 responsible for its activity. Most membrane attack complex-perforin/cholesterol-dependent cytolysin (MACPF/CDC) proteins are thought to form pores in target membranes by assembling into pre-pore oligomers before undergoing a pre-pore to pore transition. Assembly during pore formation is into both full rings of subunits and incomplete rings (arcs). The balance between arcs and full rings is determined by a mechanism dependent on protein concentration in which arc pores arise due to kinetic trapping of the pre-pore forms by the depletion of free protein subunits during oligomerization. Here we describe the use of a kinetic assay to study pore formation in red blood cells by the MACPF/CDC pneumolysin from Streptococcus pneumoniae. We show that cell lysis displays two kinds of dependence on protein concentration. At lower concentrations, it is dependent on the pre-pore to pore transition of arc oligomers, which we show to be a cooperative process. At higher concentrations, it is dependent on the amount of pneumolysin bound to the membrane and reflects the affinity of the protein for its receptor, cholesterol. A lag occurs before cell lysis begins; this is dependent on oligomerization of pneumolysin. Kinetic dissection of cell lysis by pneumolysin demonstrates the capacity of MACPF/CDCs to generate pore-forming oligomeric structures of variable size with, most likely, different functional roles in biology. © 2015 Elsevier B.V. Perforin (PFN) is one of the most important protein effectors of the immune system. It is produced by cytotoxic T lymphocytes and natural killer cells and helps with the clearance of virus-infected and tumor cells. PFN is a pore-forming protein that readily binds to the lipid membranes of target cells, oligomerizes at the cell surface and forms transmembrane pores that allow passage of ions and other larger molecules. Its characterization was hindered in the past by a lack of efficient and reliable expression systems that would result in pure and functional product. In this paper we present optimization of PFN expression in a baculovirus expression system. We optimized several parameters of murine PFN (mPFN) expression and purification and showed that the expressed product is pure and hemolytically active and that it forms pores in the plasma membranes of K562 cells. We could also observe circular pores formed on liposome membranes by cryo-electron microscopy (cryo-EM). Our protocol opens the door for further biochemical and biophysical assessment of PFN properties and interactions with small ligands and lipid membranes. Pore-forming proteins and peptides act on their targeted lipid bilayer membranes to increase permeability. This approach to the modulation of biological function is relevant to a great number of living processes, including; infection, parasitism, immunity, apoptosis, development and neurodegeneration. While some pore-forming proteins/peptides assemble into rings of subunits to generate discrete, well-defined pore-forming structures, an increasing number is recognised to form pores via mechanisms which co-opt membrane lipids themselves. Among these, membrane attack complex-perforin/cholesterol-dependent cytolysin (MACPF/CDC) family proteins, Bax/colicin family proteins and actinoporins are especially prominent and among the mechanisms believed to apply are the formation of non-lamellar (semi-toroidal or toroidal) lipidic structures. In this review I focus on the ways in which lipids contribute to pore formation and contrast this with the ways in which lipids are co-opted also in membrane fusion and fission events. A variety of mechanisms for pore formation that involve lipids exists, but they consistently result in stable hybrid proteolipidic structures. These structures are stabilised by mechanisms in which pore-forming proteins modify the innate capacity of lipid membranes to respond to their environment, changing shape and/or phase and binding individual lipid molecules directly. In contrast, and despite the diversity in fusion protein types, mechanisms for membrane fusion are rather similar to each other, mapping out a pathway from pairs of separated compartments to fully confluent fused membranes. Fusion proteins generate metastable structures along the way which, like long-lived proteolipidic pore-forming complexes, rely on the basic physical properties of lipid bilayers. Membrane fission involves similar intermediates, in the reverse order. I conclude by considering the possibility that at least some pore-forming and fusion proteins are evolutionarily related homologues. This article is part of a Special Issue entitled: Pore-Forming Toxins edited by Mauro Dalla Serra and Franco Gambale. Perforin (PFN) is one of the most important protein effectors of the immune system. It is produced by cytotoxic T lymphocytes and natural killer cells and helps with the clearance of virus-infected and tumor cells. PFN is a pore-forming protein that readily binds to the lipid membranes of target cells, oligomerizes at the cell surface and forms transmembrane pores that allow passage of ions and other larger molecules. Its characterization was hindered in the past by a lack of efficient and reliable expression systems that would result in pure and functional product. In this paper we present optimization of PFN expression in a baculovirus expression system. We optimized several parameters of murine PFN (mPFN) expression and purification and showed that the expressed product is pure and hemolytically active and that it forms pores in the plasma membranes of K562 cells. We could also observe circular pores formed on liposome membranes by cryo-electron microscopy (cryo-EM). Our protocol opens the door for further biochemical and biophysical assessment of PFN properties and interactions with small ligands and lipid membranes. The core protein of the hepatitis B virus, HBcAg, assembles into highly immunogenic virus-like particles (HBc VLPs) when expressed in a variety of heterologous systems. Specifically, the major insertion region (MIR) on the HBcAg protein allows the insertion of foreign sequences, which are then exposed on the tips of surface spike structures on the outside of the assembled particle. Here, we present a novel strategy which aids the display of whole proteins on the surface of HBc particles. This strategy, named tandem core, is based on the production of the HBcAg dimer as a single polypeptide chain by tandem fusion of two HBcAg open reading frames. This allows the insertion of large heterologous sequences in only one of the two MIRs in each spike, without compromising VLP formation. We present the use of tandem core technology in both plant and bacterial expression systems. The results show that tandem core particles can be produced with unmodified MIRs, or with one MIR in each tandem dimer modified to contain the entire sequence of GFP or of a camelid nanobody. Both inserted proteins are correctly folded and the nanobody fused to the surface of the tandem core particle (which we name tandibody) retains the ability to bind to its cognate antigen. This technology paves the way for the display of natively folded proteins on the surface of HBc particles either through direct fusion or through non-covalent attachment via a nanobody. The post-transcriptional addition of uridines to the 3'-end of RNAs is an important regulatory process that is critical for coding and noncoding RNA stability. In fission yeast and metazoans this untemplated 3'-uridylylation is catalysed by a single family of terminal uridylyltransferases (TUTs) whose members are adapted to specific RNA targets. In Schizosaccharomyces pombe the TUT Cid1 is responsible for the uridylylation of polyadenylated mRNAs, targeting them for destruction. In metazoans, the Cid1 orthologues ZCCHC6 and ZCCHC11 uridylate histone mRNAs, targeting them for degradation, but also uridylate microRNAs, altering their maturation. Cid1 has been studied as a model TUT that has provided insights into the larger and more complex metazoan enzyme system. In this paper, two strategies are described that led to improvements both in the crystallogenesis of Cid1 and in the resolution of diffraction by ∼1.5 Å. These advances have allowed high-resolution crystallographic studies of this TUT system to be initiated. Translation is increasingly recognized as a central control layer of gene expression in eukaryotic cells. The overall organization of mRNA and ribosomes within polysomes, as well as the possible role of this organization in translation are poorly understood. Here we show that polysomes are primarily formed by three distinct classes of ribosome assemblies. We observe that these assemblies can be connected by naked RNA regions of the transcript. We show that the relative proportions of the three classes of ribosome assemblies reflect, and probably dictate, the level of translational activity. These results reveal the existence of recurrent supra-ribosomal building blocks forming polysomes and suggest the presence of unexplored translational controls embedded in the polysome structure. Terminal uridylyl transferases (TUTs) are responsible for the post-transcriptional addition of uridyl residues to RNA 3' ends, leading in some cases to altered stability. The Schizosaccharomyces pombe TUT Cid1 is a model enzyme that has been characterized structurally at moderate resolution and provides insights into the larger and more complex mammalian TUTs, ZCCHC6 and ZCCHC11. Here, we report a higher resolution (1.74 Å) crystal structure of Cid1 that provides detailed evidence for uracil selection via the dynamic flipping of a single histidine residue. We also describe a novel closed conformation of the enzyme that may represent an intermediate stage in a proposed product ejection mechanism. The structural insights gained, combined with normal mode analysis and biochemical studies, demonstrate that the plasticity of Cid1, particularly about a hinge region (N164-N165), is essential for catalytic activity, and provide an explanation for its distributive uridylyl transferase activity. We propose a model clarifying observed differences between the in vitro apparently processive activity and in vivo distributive monouridylylation activity of Cid1. We suggest that modulating the flexibility of such enzymes-for example by the binding of protein co-factors-may allow them alternatively to add single or multiple uridyl residues to the 3' termini of RNA molecules. Pore-forming proteins (PFPs) interact with lipid bilayers to compromise membrane integrity. Many PFPs function by inserting a ring of oligomerized subunits into the bilayer to form a protein-lined hydrophilic channel. However, mounting evidence suggests that PFPs can also generate 'proteolipidic' pores by contributing to the fusion of inner and outer bilayer leaflets to form a toroidal structure. We discuss here toroidal pore formation by peptides including melittin, protegrin, and Alzheimer's Aβ1-41, as well as by PFPs from several evolutionarily unrelated families: the colicin/Bcl-2 grouping including the pro-apoptotic protein Bax, actinoporins derived from sea anemones, and the membrane attack complex-perforin/cholesterol dependent cytolysin (MACPF/CDC) set of proteins. We also explore how the structure and biological role of toroidal pores might be investigated further. Perforin-mediated cytotoxicity is an essential host defense, in which defects contribute to tumor development and pathogenic disorders including autoimmunity and autoinflammation. How perforin (PFN) facilitates intracellular delivery of pro-apoptotic and inflammatory granzymes across the bilayer of targets remains unresolved. Here we show that cellular susceptibility to granzyme B (GzmB) correlates with rapid PFN-induced phosphatidylserine externalization, suggesting that pores are formed at a protein-lipid interface by incomplete membrane oligomers (or arcs). Supporting a role for these oligomers in protease delivery, an anti-PFN antibody (pf-80) suppresses necrosis but increases phosphatidylserine flip-flop and GzmB-induced apoptosis. As shown by atomic force microscopy on planar bilayers and deep-etch electron microscopy on mammalian cells, pf-80 increases the proportion of arcs which correlates with the presence of smaller electrical conductances, while large cylindrical pores decline. PFN appears to form arc structures on target membranes that serve as minimally disrupting conduits for GzmB translocation. The role of these arcs in PFN-mediated pathology warrants evaluation where they may serve as novel therapeutic targets. Five different cholesterol-dependent cytolysins (CDCs) have now had their atomic structures solved. Here their structures are compared and shown to vary less in the C-terminal region than they do in their N-terminal MACPF/CDC homology region. The most variable region of the C-terminal domain is the undecapeptide, which is observed in two clusters of conformations, and comparison of this domain with the C2 domain of perforin shows that the two structures have a common ancestor. Structural studies of CDC pre-pore and pore oligomers by cryo-electron microscopy and atomic force microscopy have revealed much about their mechanism of action. Understanding the activity of CDCs has required a combination of structural, biophysical and functional assays but current models of pore formation still require development to account for variable functional pore size. Pneumolysin is a member of the cholesterol-dependent cytolysin (CDC) family of pore-forming proteins that are produced as water-soluble monomers or dimers, bind to target membranes and oligomerize into large ring-shaped assemblies comprising approximately 40 subunits and approximately 30 nm across. This pre-pore assembly then refolds to punch a large hole in the lipid bilayer. However, in addition to forming large pores, pneumolysin and other CDCs form smaller lesions characterized by low electrical conductance. Owing to the observation of arc-like (rather than full-ring) oligomers by electron microscopy, it has been hypothesized that smaller oligomers explain smaller functional pores. To investigate whether this is the case, we performed cryo-electron tomography of pneumolysin oligomers on model lipid membranes. We then used sub-tomogram classification and averaging to determine representative membrane-bound low-resolution structures and identified pre-pores versus pores by the presence of membrane within the oligomeric curve. We found pre-pore and pore forms of both complete (ring) and incomplete (arc) oligomers and conclude that arc-shaped oligomeric assemblies of pneumolysin can form pores. As the CDCs are evolutionarily related to the membrane attack complex/perforin family of proteins, which also form variably sized pores, our findings are of relevance to that class of proteins as well. Kindlins are essential coactivators, with talin, of the cell surface receptors integrins and also participate in integrin outside-in signalling, and the control of gene transcription in the cell nucleus. The kindlins are ~75 kDa multidomain proteins and bind to an NPxY motif and upstream T/S cluster of the integrin β-subunit cytoplasmic tail. The hematopoietically-important kindlin isoform, kindlin-3, is critical for platelet aggregation during thrombus formation, leukocyte rolling in response to infection and inflammation and osteoclast podocyte formation in bone resorption. Kindlin-3's role in these processes has resulted in extensive cellular and physiological studies. However, there is a need for an efficient method of acquiring high quality milligram quantities of the protein for further studies. We have developed a protocol, here described, for the efficient expression and purification of recombinant murine kindlin-3 by use of a baculovirus-driven expression system in Sf9 cells yielding sufficient amounts of high purity full-length protein to allow its biophysical characterization. The same approach could be taken in the study of the other mammalian kindlin isoforms. In-Fusion™ cloning is a flexible DNA ligase-independent cloning technology that has wide-ranging uses in molecular biology. In this chapter we describe the protocols used in the OPPF-UK to design and construct expression vectors using In-Fusion™. Our method for small scale expression screening in Escherichia coli of constructs generated by In-Fusion™ is also outlined. In-Fusion™ cloning is a fl exible DNA ligase-independent cloning technology that has wide-ranging uses in molecular biology. In this chapter we describe the protocols used in the OPPF-UK to design and construct expression vectors using In-Fusion™. Our method for small scale expression screening in Escherichia coli of constructs generated by In-Fusion™ is also outlined. © Springer Science+Business Media New York 2014. Membrane Attack Complex/Perforin (MACPF) and Cholesterol-Dependent Cytolysins (CDC) form the MACPF/CDC superfamily of important effector proteins widespread in nature. MACPFs and CDCs were discovered separately with no sequence similarity at that stage being apparent between the two protein families such that they were not, until recently, considered evolutionary related. The breakthrough showing they are came with recent structural work that also shed light on the molecular mechanism of action of various MACPF proteins. Similarity in structural properties and conserved functional features indicate that both protein families have the same evolutionary origin. We will describe the distribution of MACPF/CDC proteins in nature and discuss briefly their similarity and functional role in different biological processes. Hedgehog (Hh) morphogens play fundamental roles during embryogenesis and adulthood, in health and disease. Multiple cell surface receptors regulate the Hh signaling pathway. Among these, the glycosaminoglycan (GAG) chains of proteoglycans shape Hh gradients and signal transduction. We have determined crystal structures of Sonic Hh complexes with two GAGs, heparin and chondroitin sulfate. The interaction determinants, confirmed by site-directed mutagenesis and binding studies, reveal a previously not identified Hh site for GAG binding, common to all Hh proteins. The majority of Hh residues forming this GAG-binding site have been previously implicated in developmental diseases. Crystal packing analysis, combined with analytical ultracentrifugation of Sonic Hh-GAG complexes, suggests a potential mechanism for GAG-dependent Hh multimerization. Taken together, these results provide a direct mechanistic explanation of the observed correlation between disease and impaired Hh gradient formation. Moreover, GAG binding partially overlaps with the site of Hh interactions with an array of protein partners including Patched, hedgehog interacting protein, and the interference hedgehog protein family, suggesting a unique mechanism of Hh signaling modulation. Repulsive guidance molecule family members (RGMs) control fundamental and diverse cellular processes, including motility and adhesion, immune cell regulation, and systemic iron metabolism. However, it is not known how RGMs initiate signaling through their common cell-surface receptor, neogenin (NEO1). Here, we present crystal structures of the NEO1 RGM-binding region and its complex with human RGMB (also called dragon). The RGMB structure reveals a previously unknown protein fold and a functionally important autocatalytic cleavage mechanism and provides a framework to explain numerous disease-linked mutations in RGMs. In the complex, two RGMB ectodomains conformationally stabilize the juxtamembrane regions of two NEO1 receptors in a pH-dependent manner. We demonstrate that all RGM-NEO1 complexes share this architecture, which therefore represents the core of multiple signaling pathways. It remains largely mysterious how the genomes of non-enveloped eukaryotic viruses are transferred across a membrane into the host cell. Picornaviruses are simple models for such viruses, and initiate this uncoating process through particle expansion, which reveals channels through which internal capsid proteins and the viral genome presumably exit the particle, although this has not been clearly seen until now. Here we present the atomic structure of an uncoating intermediate for the major human picornavirus pathogen CAV16, which reveals VP1 partly extruded from the capsid, poised to embed in the host membrane. Together with previous low-resolution results, we are able to propose a detailed hypothesis for the ordered egress of the internal proteins, using two distinct sets of channels through the capsid, and suggest a structural link to the condensed RNA within the particle, which may be involved in triggering RNA release. Recent work on the MACPF/CDC superfamily of pore-forming proteins has focused on the structural analysis of monomers and pore-forming oligomeric complexes. We set the family of proteins in context and highlight aspects of their function which the direct and exclusive equation of oligomers with pores fails to explain. Starting with a description of the distribution of MACPF/CDC proteins across the domains of life, we proceed to show how their evolutionary relationships can be understood on the basis of their structural homology and re-evaluate models for pore formation by perforin, in particular. We furthermore highlight data showing the role of incomplete oligomeric rings (arcs) in pore formation and how this can explain small pores generated by oligomers of proteins belonging to the family. We set this in the context of cell biological and biophysical data on the proteins' function and discuss how this helps in the development of an understanding of how they act in processes such as apicomplexan parasites gliding through cells and exiting from cells. © 2012 Springer Basel AG. MicroRNAs (miRNAs) are versatile regulators of gene expression in higher eukaryotes. In order to silence many different mRNAs in a precise manner, miRNA stability and efficacy is controlled by highly developed regulatory pathways and fine-tuning mechanisms both affecting miRNA processing and altering mature miRNA target specificity. Inside-out activation of integrins is mediated via the binding of talin and kindlin to integrin β-subunit cytoplasmic tails. The kindlin FERM domain is interrupted by a pleckstrin homology (PH) domain within its F2 subdomain. Here, we present data confirming the importance of the kindlin-1 PH domain for integrin activation and its x-ray crystal structure at a resolution of 2.1 Å revealing a C-terminal second α-helix integral to the domain but found only in the kindlin protein family. An isoform-specific salt bridge occludes the canonical phosphoinositide binding site, but molecular dynamics simulations display transient switching to an alternative open conformer. Molecular docking reveals that the opening of the pocket would enable potential ligands to bind within it. Although lipid overlay assays suggested the PH domain binds inositol monophosphates, surface plasmon resonance demonstrated weak affinities for inositol 3,4,5-triphosphate (Ins(3,4,5)P(3); K(D) ∼100 μM) and no monophosphate binding. Removing the salt bridge by site-directed mutagenesis increases the PH domain affinity for Ins(3,4,5)P(3) as measured by surface plasmon resonance and enables it to bind PtdIns(3,5)P(2) on a dot-blot. Structural comparison with other PH domains suggests that the phosphate binding pocket in the kindlin-1 PH domain is more occluded than in kindlins-2 and -3 due to its salt bridge. In addition, the apparent affinity for Ins(3,4,5)P(3) is affected by the presence of PO(4) ions in the buffer. We suggest the physiological ligand of the kindlin-1 PH domain is most likely not an inositol phosphate but another phosphorylated species. Kindlin-3, a 75-kDa protein, has been shown to be critical for hemostasis, immunity, and bone metabolism via its role in integrin activation. The Kindlin family is hallmarked by a FERM domain comprised of F1, F2, and F3 subdomains together with an N-terminal F0 domain and a pleckstrin homology domain inserted in the F2 domain. Recombinant Kindlin-3 was cloned, expressed, and purified, and its domain organization was studied by x-ray scattering and other techniques to reveal an extended conformation. This unusual elongated structure is similar to that found in the paralogue Talin head domain. Analytical ultracentrifugation experiments indicated that Kindlin-3 forms a ternary complex with the Talin and β-integrin cytoplasmic tails. NMR showed that Kindlin-3 specifically recognizes the membrane-distal tail NPXY motif in both the β(1A) and β(1D) isoforms, although the interaction is stronger with β(1A). An upstream Ser/Thr cluster in the tails also plays a critical role. Overall these data support current biological, clinical, and mutational data on Kindlin-3/β-tail binding and provide novel insights into the overall conformation and interactions of Kindlin-3. Recent work on the MACPF/CDC superfamily of pore-forming proteins has focused on the structural analysis of monomers and pore-forming oligomeric complexes. We set the family of proteins in context and highlight aspects of their function which the direct and exclusive equation of oligomers with pores fails to explain. Starting with a description of the distribution of MACPF/CDC proteins across the domains of life, we proceed to show how their evolutionary relationships can be understood on the basis of their structural homology and re-evaluate models for pore formation by perforin, in particular. We furthermore highlight data showing the role of incomplete oligomeric rings (arcs) in pore formation and how this can explain small pores generated by oligomers of proteins belonging to the family. We set this in the context of cell biological and biophysical data on the proteins' function and discuss how this helps in the development of an understanding of how they act in processes such as apicomplexan parasites gliding through cells and exiting from cells. Filamins are large proteins that cross-link actin filaments and connect to other cellular components. The C-terminal rod 2 region of FLNa (filamin A) mediates dimerization and interacts with several transmembrane receptors and intracellular signalling adaptors. SAXS (small-angle X-ray scattering) experiments were used to make a model of a six immunoglobulin-like domain fragment of the FLNa rod 2 (domains 16-21). This fragment had a surprising three-branched structural arrangement, where each branch was made of a tightly packed two-domain pair. Peptides derived from transmembrane receptors and intracellular signalling proteins induced a more open structure of the six domain fragment. Mutagenesis studies suggested that these changes are caused by peptides binding to the CD faces on domains 19 and 21 which displace the preceding domain A-strands (18 and 20 respectively), thus opening the individual domain pairs. A single particle cryo-EM map of a nine domain rod 2 fragment (domains 16-24), showed a relatively compact dimeric particle and confirmed the three-branched arrangement as well as the peptide-induced conformation changes. These findings reveal features of filamin structure that are important for its interactions and mechanical properties. Cytoplasmic terminal uridylyl transferases comprise a conserved family of enzymes that negatively regulate the stability or biological activity of a variety of eukaryotic RNAs, including mRNAs and tumor-suppressor let-7 microRNAs. Here we describe crystal structures of the Schizosaccharomyces pombe cytoplasmic terminal uridylyl transferase Cid1 in two apo conformers and bound to UTP. We demonstrate that a single histidine residue, conserved in mammalian Cid1 orthologs, is responsible for discrimination between UTP and ATP. We also describe a new high-affinity RNA substrate-binding mechanism of Cid1, which is essential for enzymatic activity and is mediated by three basic patches across the surface of the enzyme. Overall, our structures provide a basis for understanding the activity of Cid1 and a mechanism of UTP selectivity conserved in its human orthologs, suggesting potential implications for anticancer drug design. © 2012 Nature America, Inc. All rights reserved. Pore-forming proteins insert from solution into membranes to create lesions, undergoing a structural rearrangement often accompanied by oligomerization. Lysenin, a pore-forming toxin from the earthworm Eisenia fetida, specifically interacts with sphingomyelin (SM) and may confer innate immunity against parasites by attacking their membranes to form pores. SM has important roles in cell membranes and lysenin is a popular SM-labeling reagent. The structure of lysenin suggests common ancestry with other pore-forming proteins from a diverse set of eukaryotes and prokaryotes. The complex with SM shows the mode of its recognition by a protein in which both the phosphocholine headgroup and one acyl tail are specifically bound. Lipid interaction studies and assays using viable target cells confirm the functional reliance of lysenin on this form of SM recognition. Programmed -1 ribosomal frameshifting is employed in the expression of a number of viral and cellular genes. In this process, the ribosome slips backwards by a single nucleotide and continues translation of an overlapping reading frame, generating a fusion protein. Frameshifting signals comprise a heptanucleotide slippery sequence, where the ribosome changes frame, and a stimulatory RNA structure, a stem-loop or RNA pseudoknot. Antisense oligonucleotides annealed appropriately 3' of a slippery sequence have also shown activity in frameshifting, at least in vitro. Here we examined frameshifting at the U6A slippery sequence of the HIV gag/pol signal and found high levels of both -1 and -2 frameshifting with stem-loop, pseudoknot or antisense oligonucleotide stimulators. By examining -1 and -2 frameshifting outcomes on mRNAs with varying slippery sequence-stimulatory RNA spacing distances, we found that -2 frameshifting was optimal at a spacer length 1-2 nucleotides shorter than that optimal for -1 frameshifting with all stimulatory RNAs tested. We propose that the shorter spacer increases the tension on the mRNA such that when the tRNA detaches, it more readily enters the -2 frame on the U6A heptamer. We propose that mRNA tension is central to frameshifting, whether promoted by stem-loop, pseudoknot or antisense oligonucleotide stimulator. Listeriolysin O (LLO) is the major factor implicated in the escape of Listeria monocytogenes from the phagolysosome. It is the only representative of cholesterol-dependent cytolysins that exhibits pH-dependent activity. Despite intense studies of LLO pH-dependence, this feature of the toxin still remains incompletely explained. Here we used fluorescence and CD spectroscopy to show that the structure of LLO is not detectably affected by pH at room temperature. We observed slightly altered haemolytic and permeabilizing activities at different pH values, which we relate to reduced binding of LLO to the lipid membranes. However, alkaline pH and elevated temperatures caused rapid denaturation of LLO. Aggregates of the toxin were able to bind Congo red and Thioflavin T dyes and were visible under transmission electron microscopy as large, amorphous, micrometer-sized assemblies. The aggregates had the biophysical properties of amyloid. Analytical ultracentrifugation indicated dimerization of the protein in acidic conditions, which protects the protein against premature denaturation in the phagolysosome, where toxin activity takes place. We therefore suggest that LLO spontaneously aggregates at the neutral pH found in the host cell cytosol and that this is a major mechanism of LLO inactivation. © 2011 FEBS. The cytotoxic cell granule secretory pathway is essential for immune defence. How the pore-forming protein perforin (PFN) facilitates the cytosolic delivery of granule-associated proteases (granzymes) remains enigmatic. Here we show that PFN is able to induce invaginations and formation of complete internal vesicles in giant unilamellar vesicles. Formation of internal vesicles depends on native PFN and calcium and antibody labeling shows the localization of PFN at the invaginations. This vesiculation is recapitulated in large unilamellar vesicles and in this case PFN oligomers can be seen associated with the necks of the invaginations. Capacitance measurements show PFN is able to increase a planar lipid membrane surface area in the absence of pore formation, in agreement with the ability to induce invaginations. Finally, addition of PFN to Jurkat cells causes the formation of internal vesicles prior to pore formation. PFN is capable of triggering an endocytosis-like event in addition to pore formation, suggesting a new paradigm for its role in delivering apoptosis-inducing granzymes into target cells. The cytotoxic cell granule secretory pathway is essential for host defense. This pathway is fundamentally a form of intracellular protein delivery where granule proteases (granzymes) from cytotoxic lymphocytes are thought to diffuse through barrel stave pores generated in the plasma membrane of the target cell by the pore forming protein perforin (PFN) and mediate apoptotic as well as additional biological effects. While recent electron microscopy and structural analyses indicate that recombinant PFN oligomerizes to form pores containing 20 monomers (20 nm) when applied to liposomal membranes, these pores are not observed by propidium iodide uptake in target cells. Instead, concentrations of human PFN that encourage granzyme-mediated apoptosis are associated with pore structures that unexpectedly favor phosphatidylserine flip-flop measured by Annexin-V and Lactadherin. Efforts that reduce PFN mediated Ca influx in targets did not reduce Annexin-V reactivity. Antigen specific mouse CD8 cells initiate a similar rapid flip-flop in target cells. A lipid that augments plasma membrane curvature as well as cholesterol depletion in target cells enhance flip-flop. Annexin-V staining highly correlated with apoptosis after Granzyme B (GzmB) treatment. We propose the structures that PFN oligomers form in the membrane bilayer may include arcs previously observed by electron microscopy and that these unusual structures represent an incomplete mixture of plasma membrane lipid and PFN oligomers that may act as a flexible gateway for GzmB to translocate across the bilayer to the cytosolic leaflet of target cells. Glycoproteins present problems for structural analysis since they often have to be glycosylated in order to fold correctly and because their chemical and conformational heterogeneity generally inhibits crystallization. It is shown that the α-mannosidase I inhibitor kifunensine, which has previously been used for the purpose of glycoprotein crystallization in short-term (3-5 d) cultures, is apparently stable enough to be used to produce highly endoglycosidase H-sensitive glycoprotein in long-term (3-4 week) cultures of stably transfected Chinese hamster ovary (CHO) cells. Matrix-assisted laser desorption/ionization time-of-flight mass spectrometry-based analysis of the extracellular region of the cytotoxic T-lymphocyte antigen 4 (CTLA-4; CD152) homodimer expressed in long-term CHO cell cultures in the presence of kifunensine revealed that the inhibitor restricted CTLA-4 glycan processing to Man9GlcNAc2 and Man5GlcNAc2 structures. Complex-type glycans were undetectable, suggesting that the inhibitor was active for the entire duration of the cultures. Endoglycosidase treatment of the homodimer yielded protein that readily formed orthorhombic crystals with unit-cell parameters a=43.9, b=51.5, c=102.9 Å and space group P2(1)2(1)2(1) that diffracted to Bragg spacings of 1.8 Å. The results indicate that kifunensine will be effective in most, if not all, transient and long-term mammalian cell-based expression systems. The inhibitory T-cell surface-expressed receptor, cytotoxic T lymphocyte-associated antigen-4 (CTLA-4), which belongs to the class of cell surface proteins phosphorylated by extrinsic tyrosine kinases that also includes antigen receptors, binds the related ligands, B7-1 and B7-2, expressed on antigen-presenting cells. Conformational changes are commonly invoked to explain ligand-induced "triggering" of this class of receptors. Crystal structures of ligand-bound CTLA-4 have been reported, but not the apo form, precluding analysis of the structural changes accompanying ligand binding. The 1.8-Å resolution structure of an apo human CTLA-4 homodimer emphasizes the shared evolutionary history of the CTLA-4/CD28 subgroup of the immunoglobulin superfamily and the antigen receptors. The ligand-bound and unbound forms of both CTLA-4 and B7-1 are remarkably similar, in marked contrast to B7-2, whose binding to CTLA-4 has elements of induced fit. Isothermal titration calorimetry reveals that ligand binding by CTLA-4 is enthalpically driven and accompanied by unfavorable entropic changes. The similarity of the thermodynamic parameters determined for the interactions of CTLA-4 with B7-1 and B7-2 suggests that the binding is not highly specific, but the conformational changes observed for B7-2 binding suggest some level of selectivity. The new structure establishes that rigid-body ligand interactions are capable of triggering CTLA-4 phosphorylation by extrinsic kinase(s). Perforin (PFN) is a pore-forming protein produced by cytotoxic lymphocytes that aids in the clearance of tumor or virus-infected cells by a mechanism that involves the formation of transmembrane pores. The properties of PFN pores and the mechanism of their assembly remain unclear. Here, we studied pore characteristics by functional and structural methods to show that perforin forms pores more heterogeneous than anticipated. Planar lipid bilayer experiments indicate that perforin pores exhibit a broad range of conductances, from 0.15 to 21 nanosiemens. In comparison with large pores that possessed low noise and remained stably open, small pores exhibited high noise and were very unstable. Furthermore, the opening step and the pore size were dependent on the lipid composition of the membrane. The heterogeneity in pore sizes was confirmed with cryo-electron microscopy and showed a range of sizes matching that observed in the conductance measurements. Furthermore, two different membrane-bound PFN conformations were observed, interpreted as pre-pore and pore states of the protein. The results collectively indicate that PFN forms heterogeneous pores through a multistep mechanism and provide a new paradigm for understanding the range of different effects of PFN and related membrane attack complex/perforin domain proteins observed in vivo and in vitro. Single-particle electron cryomicroscopy permits structural characterization of noncrystalline protein samples, but throughput is limited by problems associated with sample preparation and image processing. Three-dimensional density maps are reconstructed from high resolution but noisy images of individual molecules. We show that self-assembled DNA nanoaffinity templates can create dense, nonoverlapping arrays of protein molecules, greatly facilitating data collection. We demonstrate this technique using a G-protein-coupled membrane receptor, a soluble G-protein, and a signaling complex of both molecules. Mammalian pyruvate dehydrogenase complex (PDC) is a key multi-enzyme assembly that is responsible for glucose homeostasis maintenance and conversion of pyruvate into acetyl-CoA. It comprises a central pentagonal dodecahedral core consisting of two subunit types (E2 and E3BP) to which peripheral enzymes (E1 and E3) bind tightly but non-covalently. Currently, there are two conflicting models of PDC (E2+E3BP) core organisation: the 'addition' model (60+12) and the 'substitution' model (48+12). Here we present the first ever low-resolution structures of human recombinant full-length PDC core (rE2/E3BP), truncated PDC core (tE2/E3BP) and native bovine heart PDC core (bE2/E3BP) obtained by small-angle X-ray scattering and small-angle neutron scattering. These structures, corroborated by negative-stain and cryo electron microscopy data, clearly reveal open pentagonal core faces, favouring the 'substitution' model of core organisation. The native and recombinant core structures are all similar to the truncated bacterial E2 core crystal structure obtained previously. Cryo-electron microscopy reconstructions of rE2/E3BP and rE2/E3BP:E3 directly confirm that the core has open pentagonal faces, agree with scattering-derived models and show density extending outwards from their surfaces, which is much more structurally ordered in the presence of E3. Additionally, analytical ultracentrifugation characterisation of rE2/E3BP, rE2 (full-length recombinant E2-only) and tE2/E3BP supports the substitution model. Superimposition of the small-angle neutron scattering tE2/E3BP and truncated bacterial E2 crystal structures demonstrates conservation of the overall pentagonal dodecahedral morphology, despite evolutionary diversity. In addition, unfolding studies using circular dichroism and tryptophan fluorescence spectroscopy show that the rE2/E3BP is less stable than its rE2 counterpart, indicative of a role for E3BP in core destabilisation. The architectural complexity and lower stability of the E2/E3BP core may be of benefit to mammals, where sophisticated fine-tuning is required for cores with optimal catalytic and regulatory efficiencies. We present the crystal structure of an immunoglobulin light-chain-like domain, CTLA-4, as a strand-swapped dimer displaying cis-trans proline isomerisation and native-like hydrogen bonding. We also show that CTLA-4 can form amyloid-like fibres and amorphous deposits explainable by the same strand swapping. Our results suggest a molecular basis for the pathological aggregation of immunoglobulin domains and why amyloid-like fibres are more often composed of homologous rather than heterologous subunits. Transfer RNAs (tRNAs) link the genetic code in the form of messenger RNA (mRNA) to protein sequence. Translocation of tRNAs through the ribosome from aminoacyl (A) site to peptidyl (P) site and from P site to exit site is catalyzed in eukaryotes by the translocase elongation factor 2 (EF-2) and in prokaryotes by its homolog EF-G. During tRNA movement one or more "hybrid" states (A/P) is occupied, but molecular details of them and of the translocation process are limited. Here we show by cryo-electron microscopy that a population of mammalian ribosomes stalled at an mRNA pseudoknot structure contains structurally distorted tRNAs in two different A/P hybrid states. In one (A/P'), the tRNA is in contact with the translocase EF-2, which induces it. In the other (A/P''), the translocase is absent. The existence of these alternative A/P intermediate states has relevance to our understanding of the mechanics and kinetics of translocation. The platelet receptor CLEC-2 binds to the snake venom toxin rhodocytin and the tumor cell surface protein podoplanin. Binding of either of these ligands promotes phosphorylation of a single tyrosine residue in the YXXL motif in the intracellular domain of CLEC-2. Phosphorylation of this tyrosine initiates binding of spleen tyrosine kinase (Syk) and triggers further downstream signaling events and ultimately potent platelet activation and aggregation. However, it is unclear how a single YXXL motif can interact efficiently with Syk, which usually recognizes two tandem YXXL repeats presented as an immunoreceptor tyrosine-based activation motif (ITAM). Using bioluminescence resonance energy transfer, coimmunopreciptitation, recombinant protein expression and analytical gel filtration chromatography, surface plasmon resonance, Western blotting, multiangle light scattering (MALS), and analytical ultracentrifugation, we show that CLEC-2 exists as a non-disulfide-linked homodimer which could allow each Syk molecule to interact with two YXXL motifs, one from each CLEC-2 monomer. Ionotropic glutamate receptors are functionally diverse but have a common architecture, including the 400-residue amino-terminal domain (ATD). We report a 1.8-A resolution crystal structure of human GluR2-ATD. This dimeric structure provides a mechanism for how the ATDs can drive receptor assembly and subtype-restricted composition. Lattice contacts in a 4.1-A resolution crystal form reveal a tetrameric (dimer-dimer) arrangement consistent with previous cellular and cryo-electron microscopic data for full-length AMPA receptors. LysR-type transcriptional regulators (LTTRs) form the largest family of bacterial regulators acting as both auto-repressors and activators of target promoters, controlling operons involved in a wide variety of cellular processes. The LTTR, CrgA, from the human pathogen Neisseria meningitidis, is upregulated during bacterial-host cell contact. Here, we report the crystal structures of both regulatory domain and full-length CrgA, the first of a novel subclass of LTTRs that form octameric rings. Non-denaturing mass spectrometry analysis and analytical ultracentrifugation established that the octameric form of CrgA is the predominant species in solution in both the presence and absence of an oligonucleotide encompassing the CrgA-binding sequence. Furthermore, analysis of the isolated CrgA-DNA complex by mass spectrometry showed stabilization of a double octamer species upon DNA binding. Based on the observed structure and the mass spectrometry findings, a model is proposed in which a hexadecameric array of two CrgA oligomers binds to its DNA target site. In Drosophila, the enzymatic activity of the glucan binding protein GNBP1 is needed to present Gram-positive peptidoglycan (PG) to peptidoglycan recognition protein SA (PGRP-SA). However, an additional PGRP (PGRP-SD) has been proposed to play a partially redundant role with GNBP1 and PGRP-SA. To reconcile the genetic results with events at the molecular level, we investigated how PGRP-SD participates in the sensing of Gram-positive bacteria. PGRP-SD enhanced the binding of GNBP1 to Gram-positive PG. PGRP-SD interacted with GNBP1 and enhanced the interaction between GNBP1 and PGRP-SA. A complex containing all three proteins could be detected in native gels in the presence of PG. In solution, addition of a highly purified PG fragment induced the occurrence not only of the ternary complex but also of dimeric subcomplexes. These results indicate that the interplay between the binding affinities of different PGRPs provides sufficient flexibility for the recognition of the highly diverse Gram-positive PG. RNA pseudoknots are structural elements found in almost all classes of RNA. Pseudoknots form when a single-stranded region in the loop of a hairpin base-pairs with a stretch of complementary nucleotides elsewhere in the RNA chain. This simple folding strategy is capable of generating a large number of stable three-dimensional folds that display a diverse range of highly specific functions in a variety of biological processes. The present review focuses on pseudoknots that act in the regulation of protein synthesis using cellular and viral examples to illustrate their versatility. Emphasis is placed on structurally well-defined pseudoknots that play a role in internal ribosome entry, autoregulation of initiation, ribosomal frameshifting during elongation and trans-translation. Sphingomyelin (SM) is abundant in the outer leaflet of the cell plasma membrane, with the ability to concentrate in so-called lipid rafts. These specialized cholesterol-rich microdomains not only are associated with many physiological processes but also are exploited as cell entry points by pathogens and protein toxins. SM binding is thus a widespread and important biochemical function, and here we reveal the molecular basis of SM recognition by the membrane-binding eukaryotic cytolysin equinatoxin II (EqtII). The presence of SM in membranes drastically improves the binding and permeabilizing activity of EqtII. Direct binding assays showed that EqtII specifically binds SM, but not other lipids and, curiously, not even phosphatidylcholine, which presents the same phosphorylcholine headgroup. Analysis of the EqtII interfacial binding site predicts that electrostatic interactions do not play an important role in the membrane interaction and that the two most important residues for sphingomyelin recognition are Trp(112) and Tyr(113) exposed on a large loop. Experiments using site-directed mutagenesis, surface plasmon resonance, lipid monolayer, and liposome permeabilization assays clearly showed that the discrimination between sphingomyelin and phosphatidylcholine occurs in the region directly below the phosphorylcholine headgroup. Because the characteristic features of SM chemistry lie in this subinterfacial region, the recognition mechanism may be generic for all SM-specific proteins. The translation of genetic information into proteins is a fundamental process of life. Stepwise addition of amino acids to the growing polypeptide chain requires the coordinated movement of mRNA and tRNAs through the ribosome, a process known as translocation. Here, we review current understanding of the kinetics and mechanics of translocation, with particular emphasis on the structure of a functional mammalian ribosome stalled during translocation by an mRNA pseudoknot. In the context of a pseudoknot-stalled complex, the translocase EF-2 is seen to compress a hybrid-state tRNA into a strained conformation. We propose that this strain energy helps overcome the kinetic barrier to translocation and drives tRNA into the P-site, with EF-2 biasing this relaxation in one direction. The tRNA can thus be considered a molecular spring and EF-2 a Brownian ratchet in a "spring-and-ratchet" system within the translocation process. Embryonic development and normal growth require exquisite control of insulin-like growth factors (IGFs). In mammals the extracellular region of the cation-independent mannose-6-phosphate receptor has gained an IGF-II-binding function and is termed type II IGF receptor (IGF2R). IGF2R sequesters IGF-II; imbalances occur in cancers and IGF2R is implicated in tumour suppression. We report crystal structures of IGF2R domains 11-12, 11-12-13-14 and domains 11-12-13/IGF-II complex. A distinctive juxtaposition of these domains provides the IGF-II-binding unit, with domain 11 directly interacting with IGF-II and domain 13 modulating binding site flexibility. Our complex shows that Phe19 and Leu53 of IGF-II lock into a hydrophobic pocket unique to domain 11 of mammalian IGF2Rs. Mutagenesis analyses confirm this IGF-II 'binding-hotspot', revealing that IGF-binding proteins and IGF2R have converged on the same high-affinity site. RNA pseudoknots are structural elements found in almost all classes of RNA. First recognized in the genomes of plant viruses, they are now established as a widespread motif with diverse functions in various biological processes. This Review focuses on viral pseudoknots and their role in virus gene expression and genome replication. Although emphasis is placed on those well defined pseudoknots that are involved in unusual mechanisms of viral translational initiation and elongation, the broader roles of pseudoknots are also discussed, including comparisons with relevant cellular counterparts. The relationship between RNA pseudoknot structure and function is also addressed. The murine molecule dectin-1 (known as the beta-glucan receptor in humans) is an immune cell surface receptor implicated in the immunological defense against fungal pathogens. Sequence analysis has indicated that the dectin-1 extracellular domain is a C-type lectin-like domain, and functional studies have established that it binds fungal beta-glucans. We report several dectin-1 crystal structures, including a high-resolution structure and a 2.8 angstroms resolution structure in which a short soaked natural beta-glucan is trapped in the crystal lattice. In vitro characterization of dectin-1 in the presence of its natural ligand indicates higher-order complex formation between dectin-1 and beta-glucans. These combined structural and biophysical data considerably extend the current knowledge of dectin-1 structure and function, and suggest potential mechanisms of defense against fungal pathogens. The Holliday junction (HJ) is a central intermediate of homologous recombination. Its cleavage is critical for the formation of crossover recombinants during meiosis, which in turn helps to establish chiasmata and promote genetic diversity. Enzymes that cleave HJs, called HJ resolvases, have been identified in all domains of life except eukaryotic nuclei. Controversially, the Mus81-Eme1 endonuclease has been proposed to be an example of a eukaryotic nuclear resolvase. However, hitherto little or no HJ cleavage has been detected in recombinant preparations of Mus81-Eme1. Here, we report the purification of active forms of recombinant Schizosaccharomyces pombe Mus81-Eme1 and Saccharomyces cerevisiae Mus81-Mms4, which display robust HJ cleavage in vitro, which, in the case of Mus81-Eme1, is as good as the archetypal HJ resolvase RuvC in single turnover kinetic analysis. We also present genetic evidence that suggests that this activity might be utilised as a back-up to Mus81-Eme1's main activity of cleaving nicked HJs during meiosis in S. pombe. In the process of protein synthesis, the small (40S) subunit of the eukaryotic ribosome is recruited to the capped 5' end of the mRNA, from which point it scans along the 5' untranslated region in search of a start codon. However, the 40S subunit alone is not capable of functional association with cellular mRNA species; it has to be prepared for the recruitment and scanning steps by interactions with a group of eukaryotic initiation factors (eIFs). In budding yeast, an important subset of these factors (1, 2, 3, and 5) can form a multifactor complex (MFC). Here, we describe cryo-EM reconstructions of the 40S subunit, of the MFC, and of 40S complexes with MFC factors plus eIF1A. These studies reveal the positioning of the core MFC on the 40S subunit, and show how eIF-binding induces mobility in the head and platform and reconfigures the head-platform-body relationship. This is expected to increase the accessibility of the mRNA channel, thus enabling the 40S subunit to convert to a recruitment-competent state. CRKL plays essential roles in cell signaling. It consists of an N-terminal SH2 domain followed by two SH3 domains. SH2 and SH3N bind to signaling proteins, but the function of the SH3C domain has remained largely enigmatic. We show here that the SH3C of CRKL forms homodimers in protein crystals and in solution. Evidence for dimer formation of full-length CRKL is also presented. In the SH3C dimer, a nuclear export signal (NES) is mostly buried under the domain surface. The same is true for a monomeric SH3C obtained under different crystallization conditions. Interestingly, partial SH3 unfolding, such as occurs upon dimer/monomer transition, produces a fully-accessible NES through translocation of a single beta strand. Our results document the existence of an SH3 domain dimer formed through exchange of the first SH3 domain beta strand and suggest that partial unfolding of the SH3C is important for the relay of information in vivo. Protein characterization plays a role in two key aspects of structural proteomics. The first is the quality assessment of the produced protein preparations. Obtaining well diffracting crystals is one of the major bottlenecks in the structure-determination pipeline. Often, this is caused by the poor quality of the protein preparation used for crystallization trials. Hence, it is essential to perform an extensive quality assessment of the protein preparations prior to crystallization and to use the results in the evaluation of the process. Here, a protein-production and crystallization strategy is proposed with threshold values for protein purity (95%) and monodispersity (85%) below which a further optimization of the protein-production process is strongly recommended. The second aspect is the determination of protein characteristics such as domains, oligomeric state, post-translational modifications and protein-protein and protein-ligand interactions. In this paper, applications and new developments of protein-characterization methods using MS, fluorescence spectroscopy, static light scattering, analytical ultracentrifugation and small-angle X-ray scattering within the EC Structural Proteomics in Europe contract are described. Examples of the application of the various methods are given. To achieve the greatest output from their limited genomes, viruses frequently make use of alternative open reading frames, in which translation is initiated from a start codon within an existing gene and, being out of frame, gives rise to a distinct protein product. These alternative protein products are, as yet, poorly characterized structurally. Here we report the crystal structure of ORF-9b, an alternative open reading frame within the nucleocapsid (N) gene from the SARS coronavirus. 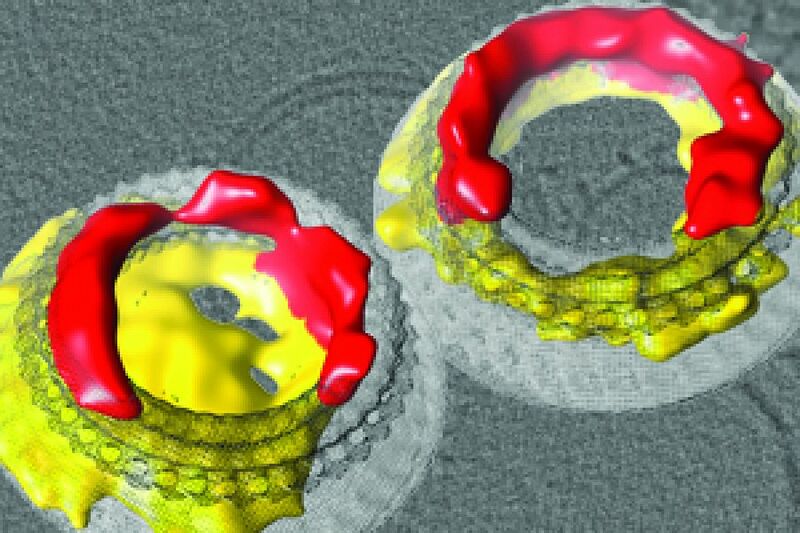 The protein has a novel fold, a dimeric tent-like beta structure with an amphipathic surface, and a central hydrophobic cavity that binds lipid molecules. This cavity is likely to be involved in membrane attachment and, in mammalian cells, ORF-9b associates with intracellular vesicles, consistent with a role in the assembly of the virion. Analysis of ORF-9b and other overlapping genes suggests that they provide snapshots of the early evolution of novel protein folds. The triplet-based genetic code requires that translating ribosomes maintain the reading frame of a messenger RNA faithfully to ensure correct protein synthesis. However, in programmed -1 ribosomal frameshifting, a specific subversion of frame maintenance takes place, wherein the ribosome is forced to shift one nucleotide backwards into an overlapping reading frame and to translate an entirely new sequence of amino acids. This process is indispensable in the replication of numerous viral pathogens, including HIV and the coronavirus associated with severe acute respiratory syndrome, and is also exploited in the expression of several cellular genes. Frameshifting is promoted by an mRNA signal composed of two essential elements: a heptanucleotide 'slippery' sequence and an adjacent mRNA secondary structure, most often an mRNA pseudoknot. How these components operate together to manipulate the ribosome is unknown. Here we describe the observation of a ribosome-mRNA pseudoknot complex that is stalled in the process of -1 frameshifting. Cryoelectron microscopic imaging of purified mammalian 80S ribosomes from rabbit reticulocytes paused at a coronavirus pseudoknot reveals an intermediate of the frameshifting process. From this it can be seen how the pseudoknot interacts with the ribosome to block the mRNA entrance channel, compromising the translocation process and leading to a spring-like deformation of the P-site transfer RNA. In addition, we identify movements of the likely eukaryotic ribosomal helicase and confirm a direct interaction between the translocase eEF2 and the P-site tRNA. Together, the structural changes provide a mechanical explanation of how the pseudoknot manipulates the ribosome into a different reading frame. Evans EJ, Esnouf RM, Manso-Sancho R, Gilbert RJC, James JR, Yu C, Hyning T, Ikemizu S, Stuart DI, Davis SJ. 2005. The structure and cross-reactivity of CD28	IMMUNOLOGY,	116	pp. 54-54. The complete genomic sequence of kelp fly virus (KFV), originally isolated from the kelp fly, Chaetocoelopa sydneyensis, has been determined. Analyses of its genomic and structural organization and phylogeny show that it belongs to a hitherto undescribed group within the picorna-like virus superfamily. The single-stranded genomic RNA of KFV is 11,035 nucleotides in length and contains a single large open reading frame encoding a polypeptide of 3,436 amino acids with 5' and 3' untranslated regions of 384 and 343 nucleotides, respectively. The predicted amino acid sequence of the polypeptide shows that it has three regions. The N-terminal region contains sequences homologous to the baculoviral inhibitor of apoptosis repeat domain, an inhibitor of apoptosis commonly found in animals and in viruses with double-stranded DNA genomes. The second region contains at least two capsid proteins. The third region has three sequence motifs characteristic of replicase proteins of many plant and animal viruses, including a helicase, a 3C chymotrypsin-like protease, and an RNA-dependent RNA polymerase. Phylogenetic analysis of the replicase motifs shows that KFV forms a distinct and distant taxon within the picorna-like virus superfamily. Cryoelectron microscopy and image reconstruction of KFV to a resolution of 15 A reveals an icosahedral structure, with each of its 12 fivefold vertices forming a turret from the otherwise smooth surface of the 20-A-thick capsid. The architecture of the KFV capsid is unique among the members of the picornavirus superfamily for which structures have previously been determined. The infectious component of hepatitis B (HB) virus (HBV), the Dane particle, has a diameter of approximately 44 nm and consists of a double-layered capsid particle enclosing a circular, incomplete double-stranded DNA genome. The outer capsid layer is formed from the HB surface antigen (HBsAg) and lipid, whereas the inner layer is formed from the HB core Ag assembled into an icosahedral structure. During chronic infection HBsAg is expressed in large excess as noninfectious quasispherical particles and tubules with approximately 22-nm diameter. Here, we report cryo-EM reconstructions of spherical HBsAg particles at approximately 12-A resolution. We show that the particles possess different diameters and have separated them into two predominant populations, both of which have octahedral symmetry. Despite their differing diameters, the two forms of the particle have the same mass and are built through conformational switching of the same building block, a dimer of HBsAg. We propose that this conformational switching, combined with interactions with the underlying core, leads to the formation of HBV Dane particles of different sizes, dictated by the symmetry of the icosahedral core. The junctional adhesion molecules (JAMs) have been recently described as interendothelial junctional molecules and as integrin ligands. Here we show that JAM-B and JAM-C undergo heterophilic interaction in cell-cell contacts and that JAM-C is recruited and stabilized in junctional complexes by JAM-B. In addition, soluble JAM-B dissociates soluble JAM-C homodimers to form JAM-B/JAM-C heterodimers. This suggests that the affinity of JAM-C monomers to form dimers is higher for JAM-B than for JAM-C. Using antibodies against JAM-C, the formation of JAM-B/JAM-C heterodimers can be abolished. This liberates JAM-C from its vascular binding partner JAM-B and makes it available on the apical side of vessels for interaction with its leukocyte counter-receptor alpha(M)beta2 integrin. We demonstrate that the modulation of JAM-C localization in junctional complexes is a new regulatory mechanism for alpha(M)beta2-dependent adhesion of leukocytes. The homologous bacterially expressed cholesterol-dependent cytolysins (CDCs) form pores via oligomerization; this must occur preferentially once the target membrane has been engaged. Conformational changes in CDCs then drive partition from an aqueous environment to a lipidic one. This review addresses how premature oligomerization is prevented, how conformational changes are triggered, and how cooperativity between subunits brings about new functionality absent from isolated protomers. Variations are found in the answers provided by the CDCs to these issues. Some toxins use pH as a trigger of activity, but recent results have shown that dimerization in solution is an alternative way of preventing premature oligomerization, in particular for the CDC from Clostridium perfringens, perfringolysin. More controversially, there is still no resolution to the debate as to whether incomplete (arciform) oligomers form pores: recent results again suggest that they do. Methods for the three-dimensional reconstruction of icosahedral particles, such as spherical viruses, from electron micrographs are well established. These methods take advantage of the 60-fold symmetry of the icosahedral group. Several features within these particles, however, may deviate from icosahedral symmetry. Examples include viral genomes, symmetry mismatched vertex proteins, unique DNA packaging vertices, flexible proteins, and proteins that are present at less than 100% occupancy. Such asymmetrically distributed features are smeared in the final density map when icosahedral symmetry is applied. Here, we describe a novel approach to classifying, analysing, and obtaining three-dimensional reconstructions of such features. The approach uses the orientation information derived from the icosahedral orientation search to facilitate multivariate statistical analysis and to limit the orientational degrees of freedom for reconstruction. We demonstrate the application of this approach to images of Kelp fly Virus. In this case, each virion may have two different types of fivefold vertex. We use our approach to produce independent reconstructions of the two types of vertex. Naive T cell activation requires signaling by the T cell receptor and by nonclonotypic cell surface receptors. The most important costimulatory protein is the monovalent homodimer CD28, which interacts with CD80 and CD86 expressed on antigen-presenting cells. Here we present the crystal structure of a soluble form of CD28 in complex with the Fab fragment of a mitogenic antibody. Structural comparisons redefine the evolutionary relationships of CD28-related proteins, antigen receptors and adhesion molecules and account for the distinct ligand-binding and stoichiometric properties of CD28 and the related, inhibitory homodimer CTLA-4. Cryo-electron microscopy-based comparisons of complexes of CD28 with mitogenic and nonmitogenic antibodies place new constraints on models of antibody-induced receptor triggering. This work completes the initial structural characterization of the CD28-CTLA-4-CD80-CD86 signaling system. The mechanism via which pneumolysin (PLY), a toxin and major virulence factor of the bacterium Streptococcus pneumoniae, binds to its putative receptor, cholesterol, is still poorly understood. We present results from a series of biophysical studies that shed light on the interaction of PLY with cholesterol in solution and in lipid bilayers. PLY lyses cells whose walls contain cholesterol. Using standard hemolytic assays we have demonstrated that the hemolytic activity of PLY is inhibited by cholesterol, partially by ergosterol but not by lanosterol and that the functional stoichiometry of the cholesterol-PLY complex is 1:1. Tryptophan (Trp) fluorescence data recorded during PLY-cholesterol titration studies confirm this ratio, reveal a significant blue shift in the Trp fluorescence peak with increasing cholesterol concentrations indicative of increasing nonpolarity in the Trp environment, consistent with cholesterol binding by the tryptophans, and provide a measure of the affinity of cholesterol binding: K(d) = 400 +/- 100 nM. Finally, we have performed specular neutron reflectivity studies to observe the effect of PLY upon lipid bilayer structure. Cryo-electron microscopy and image reconstruction techniques have been used to obtain three-dimensional maps for E. coli ribosomes stalled following translation of three representative proteins. Comparisons of these electron density maps, at resolutions of between 13 and 16 A, with that of a nontranslating ribosome pinpoint specific structural differences in stalled ribosomes and identify additional material, including tRNAs and mRNA. In addition, the tunnel through the large subunit, the anticipated exit route of newly synthesized proteins, is partially occluded in all the stalled ribosome structures. This observation suggests that significant segments of the nascent polypeptide chains examined here could be located within an expanded tunnel, perhaps in a rudimentary globular conformation. Such behavior could be an important aspect of the folding of at least some proteins in the cellular environment. As part of a high-throughput structural analysis of SARS-coronavirus (SARS-CoV) proteins, we have solved the structure of the non-structural protein 9 (nsp9). This protein, encoded by ORF1a, has no designated function but is most likely involved with viral RNA synthesis. The protein comprises a single beta-barrel with a fold previously unseen in single domain proteins. The fold superficially resembles an OB-fold with a C-terminal extension and is related to both of the two subdomains of the SARS-CoV 3C-like protease (which belongs to the serine protease superfamily). nsp9 has, presumably, evolved from a protease. The crystal structure suggests that the protein is dimeric. This is confirmed by analytical ultracentrifugation and dynamic light scattering. We show that nsp9 binds RNA and interacts with nsp8, activities that may be essential for its function(s). Studies of mucins suggest that the structural effects of O-glycans are restricted to steric interactions between peptide-linked GalNAc residues and adjacent polypeptide residues. It has been proposed, however, that differential O-glycan sialylation alters the structure of the stalk-like region of the T cell co-receptor, CD8, and that this, in turn, modulates ligand binding (Daniels, M. A., Devine, L., Miller, J. D., Moser, J. M., Lukacher, A. E., Altman, J. D., Kavathas, P., Hogquist, K. A., and Jameson, S. C. (2001) Immunity 15, 1051-1061; Moody, A. M., Chui, D., Reche, P. A., Priatel, J. J., Marth, J. D., and Reinherz, E. L. (2001) Cell 107, 501-512). We characterize the glycosylation of soluble, chimeric forms of the alphaalpha- and alphabeta-isoforms of murine CD8 containing the O-glycosylated stalk of rat CD8alphaalpha, and we show that the stalk O-glycans are differentially sialylated in CHO K1 versus Lec3.2.8.1 cells (82 versus approximately 6%, respectively). Sedimentation analysis indicates that the Perrin functions, Pexp, which reflect overall molecular shape, are very similar (1.61 versus 1.54), whereas the sedimentation coefficients (s) of the CHO K1- and Lec3.2.8.1-derived proteins differ considerably (3.73 versus 3.13 S). The hydrodynamic properties of molecular models also strongly imply that the sialylated and non-sialylated forms of the chimera have parallel, equally highly extended stalks ( approximately 2.6 A/residue). Our analysis indicates that, as in the case of mucins, the overall structure of O-glycosylated stalk-like peptides is sialylation-independent and that the functional effects of differential CD8 O-glycan sialylation need careful interpretation. SH3 domains are protein recognition modules within many adaptors and enzymes. With more than 500 SH3 domains in the human genome, binding selectivity is a key issue in understanding the molecular basis of SH3 domain interactions. The Grb2-like adaptor protein Mona/Gads associates stably with the T-cell receptor signal transducer SLP-76. The crystal structure of a complex between the C-terminal SH3 domain (SH3C) of Mona/Gads and a SLP-76 peptide has now been solved to 1.7 A. The peptide lacks the canonical SH3 domain binding motif P-x-x-P and does not form a frequently observed poly-proline type II helix. Instead, it adopts a clamp-like shape around the circumfence of the SH3C beta-barrel. The central R-x-x-K motif of the peptide forms a 3(10) helix and inserts into a negatively charged double pocket on the SH3C while several other residues complement binding through hydrophobic interactions, creating a short linear SH3C binding epitope of uniquely high affinity. Interestingly, the SH3C displays ion-dependent dimerization in the crystal and in solution, suggesting a novel mechanism for the regulation of SH3 domain functions. B7-1 and B7-2 are generally thought to have comparable structures and affinities for their receptors, CD28 and CTLA-4, each of which is assumed to be bivalent. We show instead (1) that B7-2 binds the two receptors more weakly than B7-1, (2) that, relative to its CTLA-4 binding affinity, B7-2 binds CD28 2- to 3-fold more effectively than B7-1, (3) that, unlike B7-1, B7-2 does not self-associate, and (4) that, in contrast to CTLA-4 homodimers, which are bivalent, CD28 homodimers are monovalent. Our results indicate that B7-1 markedly favors CTLA-4 over CD28 engagement, whereas B7-2 exhibits much less bias. We propose that the distinct structures and binding properties of B7-1 and B7-2 account for their overlapping but distinct effects on T cell responses. Pneumolysin, a major virulence factor of the human pathogen Streptococcus pneumoniae, is a soluble protein that disrupts cholesterol-containing membranes of cells by forming ring-shaped oligomers. Magic angle spinning and wideline static (31)P NMR have been used in combination with freeze-fracture electron microscopy to investigate the effect of pneumolysin on fully hydrated model membranes containing cholesterol and phosphatidylcholine and dicetyl phosphate (10:10:1 molar ratio). NMR spectra show that the interaction of pneumolysin with cholesterol-containing liposomes results in the formation of a nonbilayer phospholipid phase and vesicle aggregation. The amount of the nonbilayer phase increases with increasing protein concentration. Freeze-fracture electron microscopy indicates the coexistence of aggregated vesicles and free ring-shaped structures in the presence of pneumolysin. On the basis of their size and analysis of the NMR spectra it is concluded that the rings are pneumolysin oligomers (containing 30-50 monomers) complexed with lipid (each with 840-1400 lipids). The lifetime of the phospholipid in either bilayer-associated complexes or free pneumolysin-lipid complexes is > 15 ms. It is further concluded that the effect of pneumolysin on lipid membranes is a complex combination of pore formation within the bilayer, extraction of lipid into free oligomeric complexes, aggregation and fusion of liposomes, and the destabilization of membranes leading to formation of small vesicles. Increasingly powerful methods of analysis have opened up complex macromolecular assemblies to scrutiny at atomic detail. They reveal not only examples of assembly from preformed and prefolded components, but also examples in which the act of assembly drives changes to the components. In the most extreme of these examples, some of the components only achieve a folded state when the complex is formed. Striking results have appeared for systems ranging from the already mature field of virus structure and assembly, where notable progress has been made for rather complex capsids, to descriptions of ribosome structures in atomic detail, where recent results have emerged at breathtaking speed. Pneumolysin, a virulence factor from the human pathogen Streptococcus pneumoniae, is a water-soluble protein which forms ring-shaped oligomeric structures upon binding to cholesterol-containing lipid membranes. It induces vesicle aggregation, membrane pore formation and withdrawal of lipid material into non-bilayer proteolipid complexes. Solid-state magic angle spinning and wideline static NMR, together with freeze-fracture electron microscopy, are used to characterize the phase changes in fully hydrated cholesterol-containing lipid membranes induced by the addition of pneumolysin. A structural model for the proteolipid complexes is proposed where a 30-50-meric pneumolysin ring lines the inside of a lipid torus. Cholesterol is found to be essential to the fusogenic action of pneumolysin. Signaling lymphocytic activating molecule ((SLAM) CDw150) is a glycoprotein that belongs to the CD2 subset of the immunoglobulin superfamily and is expressed on the surface of activated T- and B-cells. It has been proposed that SLAM is homophilic and required for bidirectional signaling during T- and B-cell activation. Previous work has suggested that the affinity of SLAM self-association might be unusually high, undermining the concept that protein interactions mediating transient cell-cell contacts, such as those involving leukocytes, have to be weak in order that such contacts are readily reversible. Using surface plasmon resonance-based methods and analytical ultracentrifugation (AUC), we confirm that SLAM is homophilic. However, we also establish a new theoretical treatment of surface plasmon resonance-derived homophilic binding data, which indicates that SLAM-SLAM interactions (solution K(d) approximately 200 micrometer) are in fact considerably weaker than most other well characterized protein-protein interactions at the cell surface (solution K(d) approximately 0.4-20 micrometer), a conclusion that is supported by the AUC analysis. Whereas further analysis of the AUC data imply that SLAM could form "head to head" dimers spanning adjacent cells, the very low affinity raises important questions regarding the physiological role and/or properties of such interactions. B7-1 (CD80) and B7-2 (CD86) are glycoproteins expressed on antigen-presenting cells. The binding of these molecules to the T cell homodimers CD28 and CTLA-4 (CD152) generates costimulatory and inhibitory signals in T cells, respectively. The crystal structure of the extracellular region of B7-1 (sB7-1), solved to 3 A resolution, consists of a novel combination of two Ig-like domains, one characteristic of adhesion molecules and the other previously seen only in antigen receptors. In the crystal lattice, sB7-1 unexpectedly forms parallel, 2-fold rotationally symmetric homodimers. Analytical ultracentrifugation reveals that sB7-1 also dimerizes in solution. The structural data suggest a mechanism whereby the avidity-enhanced binding of B7-1 and CTLA-4 homodimers, along with the relatively high affinity of these interactions, favors the formation of very stable inhibitory signaling complexes. In its application-to biological systems, neutron scattering is still an emerging technology with a great deal of potential. A consequence of the native interaction between neutrons and biological samples is that the hydrogen isotopes 1H and 2H are most significant in dynamical and structural studies, respectively. Boyan BB, Gilbert RJC, Andrew PW, Byron O, Watts A. 2000. The molecolar interaction of pneumolysin with lipid bilayers and cholesterol	BIOPHYSICAL JOURNAL,	78	(1),	pp. 14A-14A. Pneumolysin, an important virulence factor of the human pathogen Streptococcus pneumoniae, is a pore-forming toxin which also possesses the ability to activate the complement system directly. Pneumolysin binds to cholesterol in cell membrane surfaces as a prelude to pore formation, which involves the oligomerization of the protein. Two important aspects of the pore-forming activity of pneumolysin are therefore the effect of the toxin on bilayer membrane structure and the nature of the self-association into oligomers undergone by it. We have used analytical ultracentrifugation (AUC) to investigate oligomerization and small-angle neutron scattering (SANS) to investigate the changes in membrane structure accompanying pore formation. Pneumolysin self-associates in solution to form oligomeric structures apparently similar to those which appear on the membrane coincident with pore formation. It has previously been demonstrated by us using site-specific chemical derivatization of the protein that the self-interaction preceding oligomerization involves its C-terminal domain. The AUC experiments described here involved pneumolysin toxoids harbouring mutations in different domains, and support our previous conclusions that self-interaction via the C-terminal domain leads to oligomerization and that this may be related to the mechanism by which pneumolysin activates the complement system.SANS data at a variety of neutron contrasts were obtained from liposomes used as model cell membranes in the absence of pneumolysin, and following the addition of toxin at a number of concentrations. These experiments were designed to allow visualization of the effect that pneumolysin has on bilayer membrane structure resulting from oligomerization into a pore-forming complex. The structure of the liposomal membrane alone and following addition of pneumolysin was calculated by the fitting of scattering equations directly to the scattering curves. The fitting equations describe scattering from simple three-dimensional scattering volume models for the structures present in the sample, whose dimensions were varied iteratively within the fitting program. The overall trend was a thinning of the liposome surface on toxin attack, which was countered by the formation of localized structures thicker than the liposome bilayer itself, in a manner dependent on pneumolysin concentration. At the neutron contrast match point of the liposomes, pneumolysin oligomers were observed. Inactive toxin appeared to bind to the liposome but not to cause membrane alteration; subsequent activation of pneumolysin in situ brought about changes in liposome structure similar to those seen in the presence of active toxin. We propose that the changes in membrane structure on toxin attack which we have observed are related to the mechanism by which pneumolysin forms pores and provide an important perspective on protein/membrane interactions in general. We discuss these results in the light of published data concerning the interaction of gramicidin with bilayers and the hydrophobic mismatch effect. The human pathogen Streptococcus pneumoniae produces soluble pneumolysin monomers that bind host cell membranes to form ring-shaped, oligomeric pores. We have determined three-dimensional structures of a helical oligomer of pneumolysin and of a membrane-bound ring form by cryo-electron microscopy. Fitting the four domains from the crystal structure of the closely related perfringolysin reveals major domain rotations during pore assembly. Oligomerization results in the expulsion of domain 3 from its original position in the monomer. However, domain 3 reassociates with the other domains in the membrane pore form. The base of domain 4 contacts the bilayer, possibly along with an extension of domain 3. These results reveal a two-stage mechanism for pore formation by the cholesterol-binding toxins.